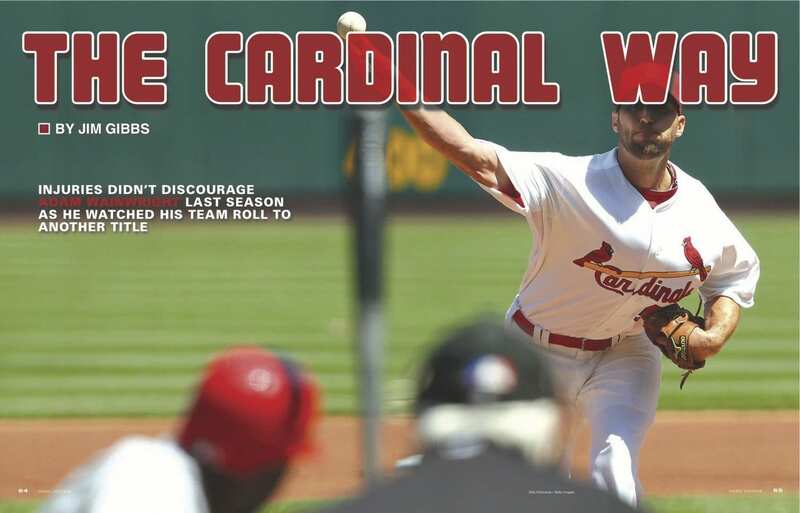 Adam Wainwright’s 2011 season had ended before it began. On the first day of spring training, on the very first day of batting practice, he blew his arm out. 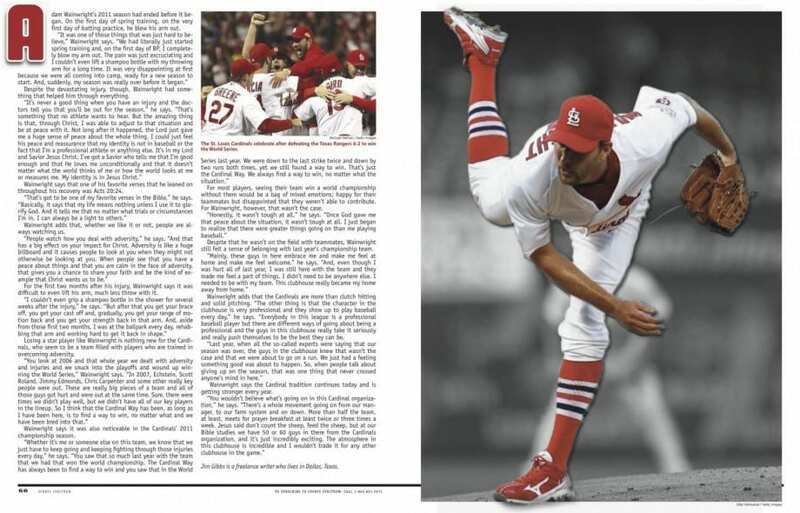 Despite the devastating injury, though, Wainwright had something that helped him through everything. Wainwright says that one of his favorite verses that he leaned on throughout his recovery was Acts 20:24. Wainwright adds that, whether we like it or not, people are always watching us. For the first two months after his injury, Wainwright says it was difficult to even lift his arm, much less throw with it. 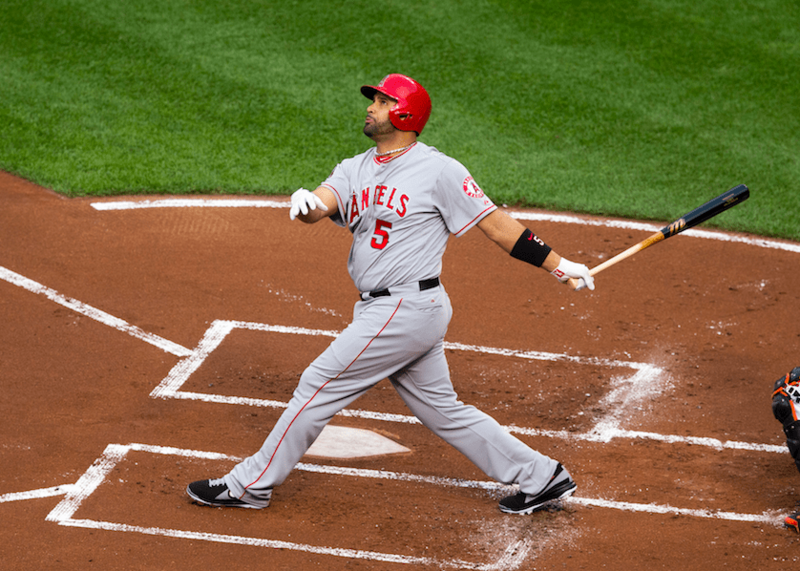 Losing a star player like Wainwright is nothing new for the Cardinals, who seem to be a team filled with players who are trained in overcoming adversity. 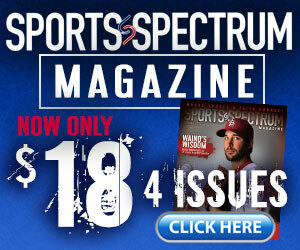 Wainwright says it was also noticeable in the Cardinals’ 2011 championship season. For most players, seeing their team win a world championship without them would be a bag of mixed emotions; happy for their teammates but disappointed that they weren’t able to contribute. For Wainwright, however, that wasn’t the case. Despite that he wasn’t on the field with teammates, Wainwright still felt a sense of belonging with last year’s championship team. Wainwright adds that the Cardinals are more than clutch hitting and solid pitching. 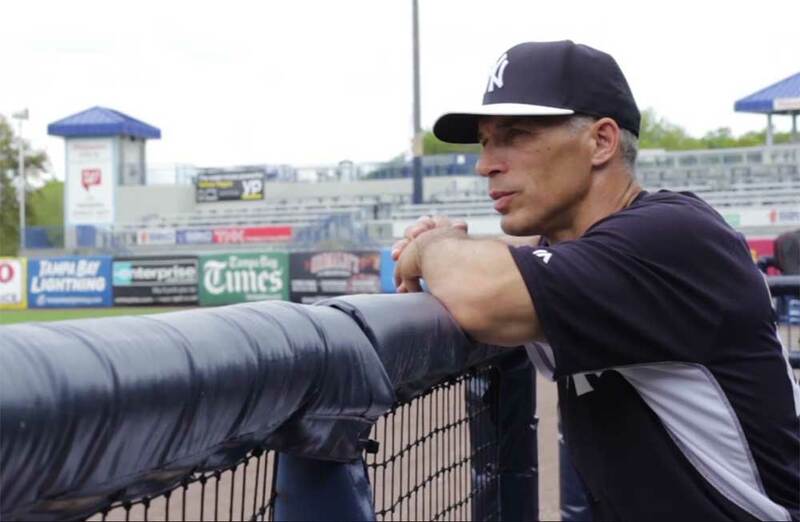 “The other thing is that the character in the clubhouse is very professional and they show up to play baseball every day,” he says. “Everybody in this league is a professional baseball player but there are different ways of going about being a professional and the guys in this clubhouse really take it seriously and really push themselves to be the best they can be. Wainwright says the Cardinal tradition continues today and is getting stronger every year. Jim Gibbs is a freelance writer who lives in Dallas, Texas.